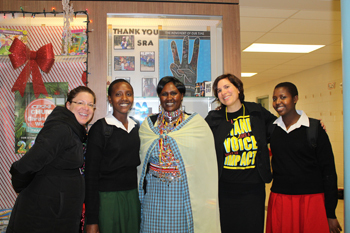 On Friday, November 21st, the Free the Children Year of Empowerment Tour visited St. Raphael the Archangel School in Maple, Ontario. Free the Children is an international charity and educational partner, working both domestically and internationally to empower youth to be agents of change. 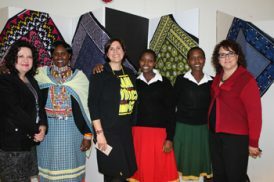 The grade 4-8 students enjoyed the exclusive opportunity to hear from Robin Wiszowaty, best-selling author and Free the Children’s Country Director for Kenya and Ghana about her 12 years spent in Kenya among the Maasai. They discovered how Me to We Artisan Mama Hellen has experienced empowerment and financial independence as she builds a better future for her family. 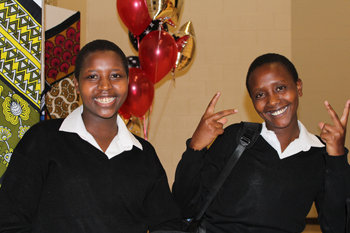 The Junior/Intermediate students at St. Raphael the Archangel connected with Kisaruni and Oleleshwa All Girl’s Secondary School students as they spoke about how new educational opportunities are transforming their lives. 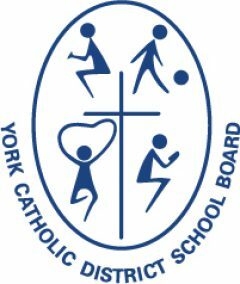 The Luke 4:18 social justice group, led by their facilitator Monica Hoyle for this initiative, was very excited to be the only school in the York Catholic District School Board to host these visitors and share with the St. Raphael the Archangel School community how they plan on answering the Call to Action globally. 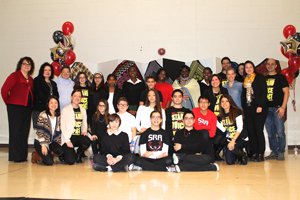 These students are committed to raising $10,000 to build a school in Kenya, Africa. Since January of 2014, $4000 has already been raised towards the goal and at the event, the Luke 4:18 group, launched the “We Are Rafiki”friendship chain sale. All proceeds go towards making a difference in the lives of the Artisan Mamas who bead these bracelets by hand; contributes to Free the Children projects overseas; and the profit goes to reaching the school building goal. 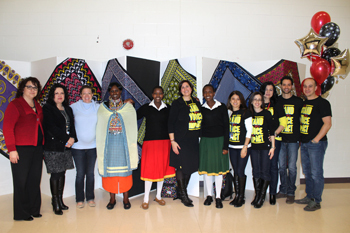 The entire group made up of seven dedicated teachers; Mr. Zitoli, Mr. Ferracane, Ms. Manzo, Ms. Luciani, Ms. Perillo, & Ms. Power, and several Intermediate students are committed to putting “Faith Into Action” and creating positive change as global citizens.